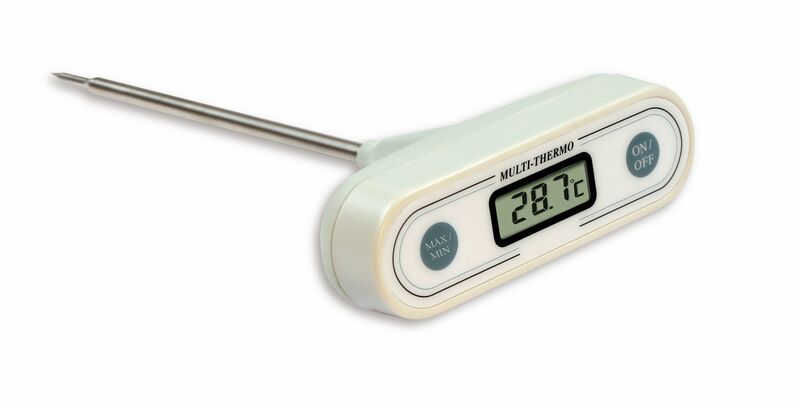 This extremely robust penetration probe thermometer from TFA stays secure in the hand thanks to its T-shape and it’s also suitable for the uncomplicated temperature measurement of slightly solid food. 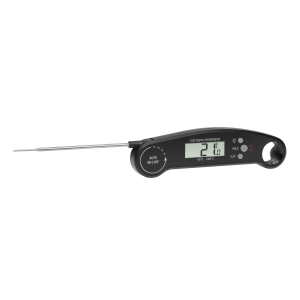 Simply stick into what needs checking and the device delivers accurate measurement results within a very short time. 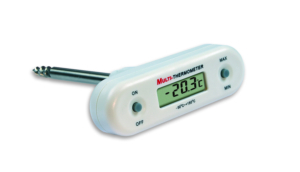 The monitoring of the core temperature during the barbecuing or roasting of meats, the safe temperature check of baby food, the preparation food in the bakery, patisserie or in the catering industry, the control of the refrigerated counter at the butcher’s or in the supermarket, stock checking or the inspection of incoming goods in the canteen kitchen or elsewhere in the food industry, these are all possible uses of the penetration probe thermometer.